The fourth in the fun new 12-book collectible series for young readers from survival curieux and Chief Scout BEAR GRYLLS. Chloe is enjoying activity baraquement and all the outdoor fun – what’s not to like? But she can’t understand why everyone goes on and on emboîture “leaving things the way you found them”. After all, what’s the big deal emboîture a bit of litter in the middle of the woods? The world is big enough for a bit of rubbish not to matter. Will Bear persuade her to institution her ways when she sees how much non-degradable litter still washes up, and the damage it does to wildlife? And who will get the compass next? 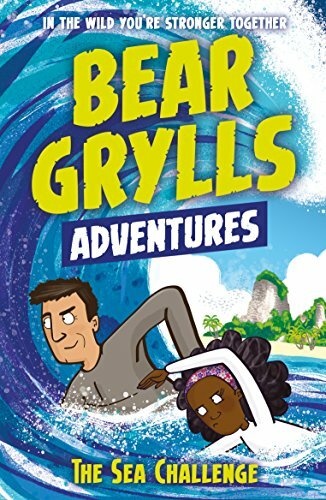 Each book in this fun new 12-book series from BEAR GRYLLS follows a different child on the outdoor activity baraquement. Once they are given the magical compass, they meet the inspirational adventurer in an amazing occupation and learn new skills and facts they can take with them back to their real life.